On the 1st November, we got the bus from Melaka back to Kuala Lumpur (KL) where we would be flying out in a few days. We stayed in the same hostel before, Step Inn, as this still had the best reviews we could find and we spent the majority of the next few days planning the next couple of months of our trip. When you’re travelling around so much, often with not the best wifi, you don’t always get the time to work out what to do next. Now, some people purposefully don’t plan the next step. They’re happy to rock up in a country and just see where the trip takes them. We’re not really like that, we like having a rough plan of what we’re going to be doing. This is mainly because we don’t want to miss doing something or run out of time in a country. As we have flights booked between countries (the run up to Christmas meant getting last minute flights wouldn’t be an optioning our budget) we had to use our time in each country wisely and that involved planning. We spent one full day sitting in a Starbucks because it had good wifi, slowly drinking a frappuccino (this really was a luxury to us) planning three countries that we would be visiting over the next two months. Aside from that we saw the new Thor: Ragnorak movie (which was very good!) 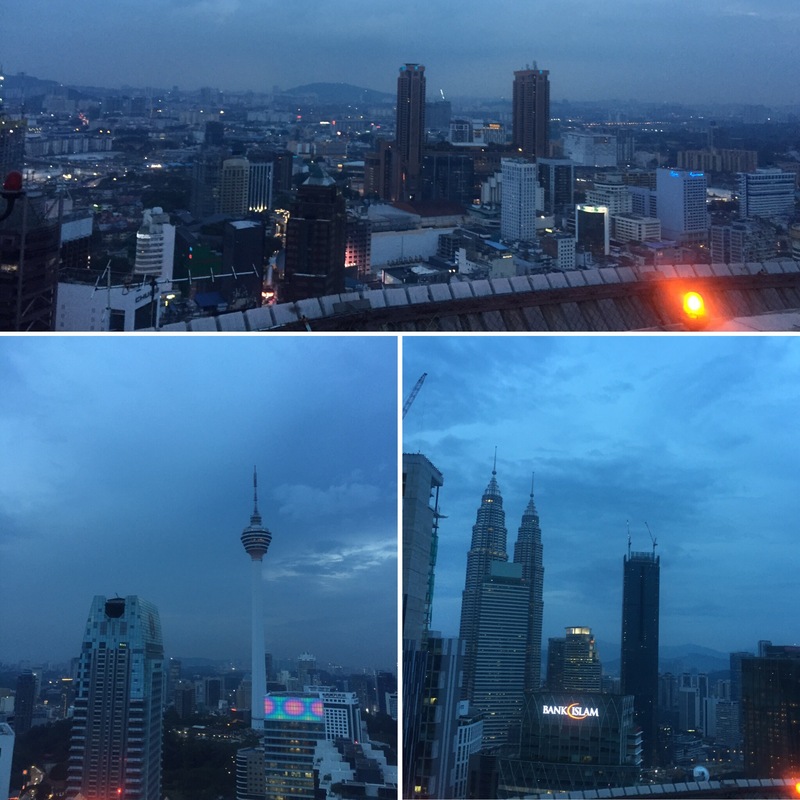 and went for drinks on a helipad for my birthday – this is what the rest of my post will focus on. Although I turned 24 in Ipoh, there wasn’t really any bar or drinking scene there as it’s a predominantly Muslim area. 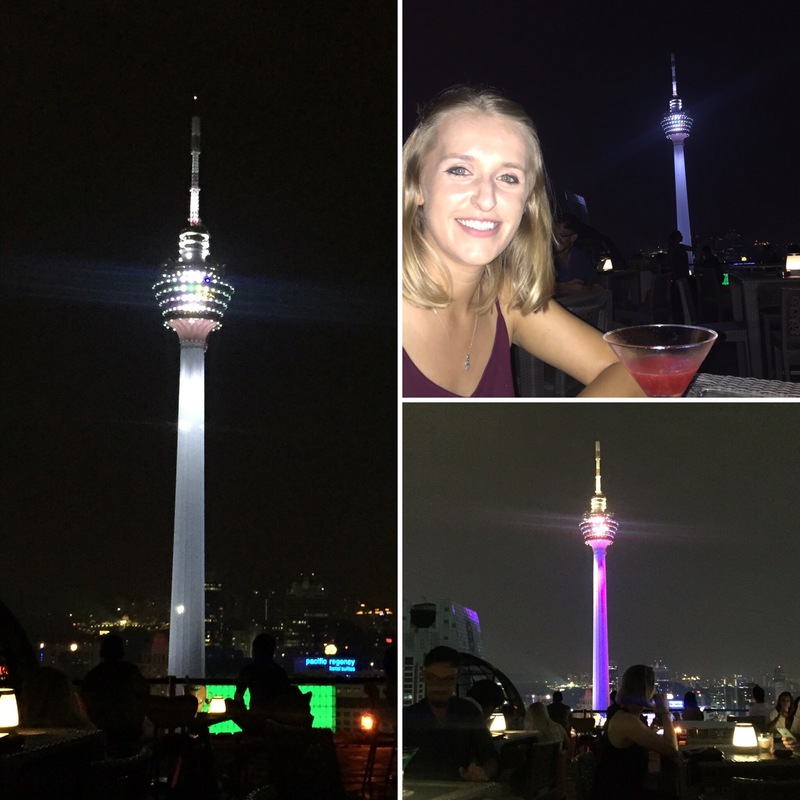 So, as I had kindly been sent a bit of birthday money from loved ones, we decided to go to a nice bar when we got back to Kuala Lumpur to enjoy some drinks. 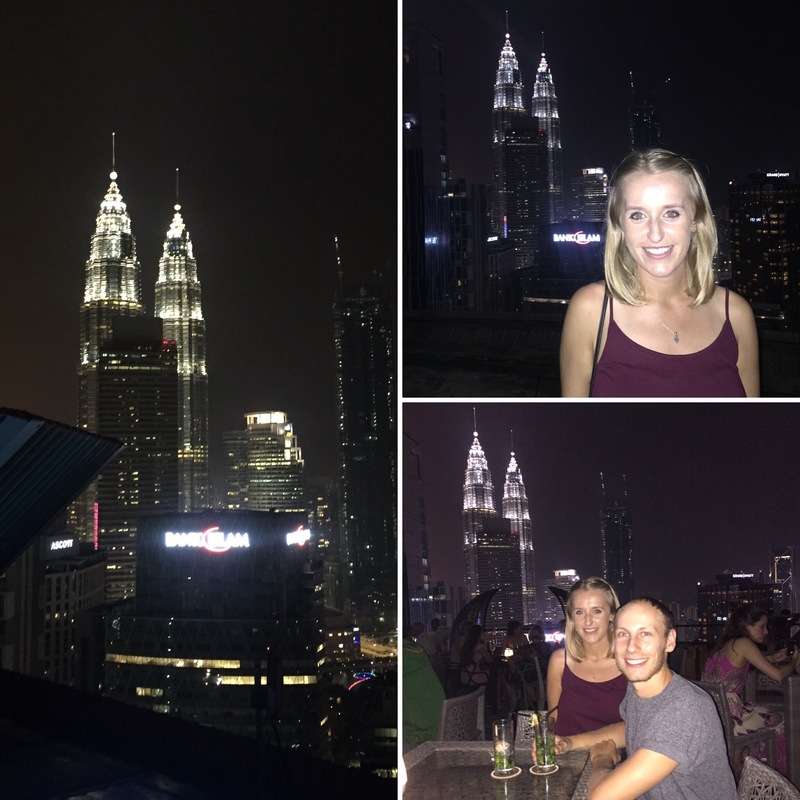 Just under a year before, two of my friends from home, Laura and Kathryn, had gone to this place when they visited KL and so we decided to do the same. 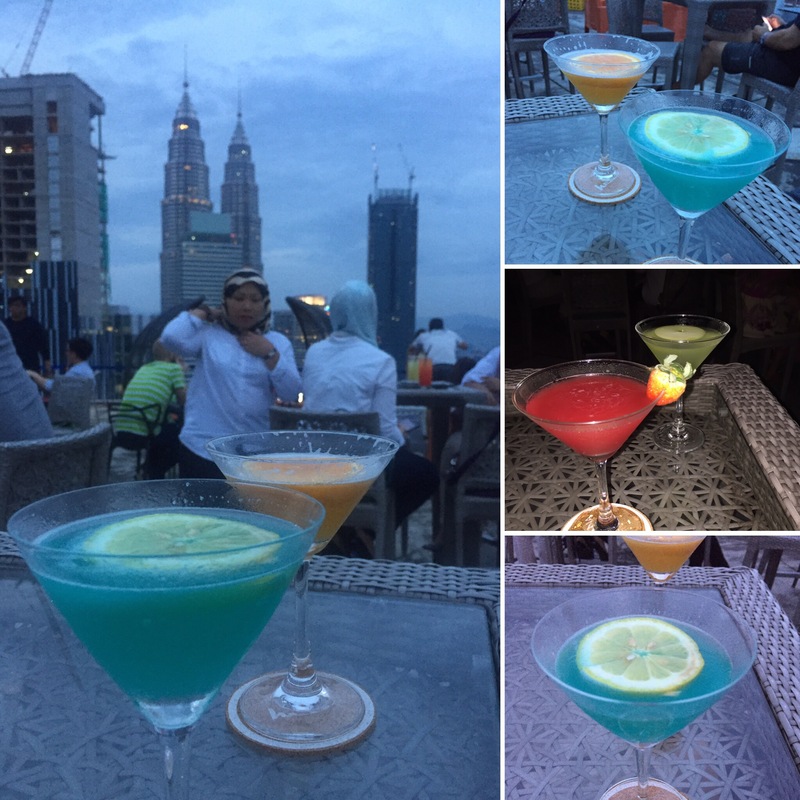 This was a helipad bar in the city that was relatively near to the Petronas Towers meaning that it gave you a great view of the city and the towers whilst you drank your cocktails. The cocktails averaged around £10 for two cocktails and so we made sure to try a few of them. 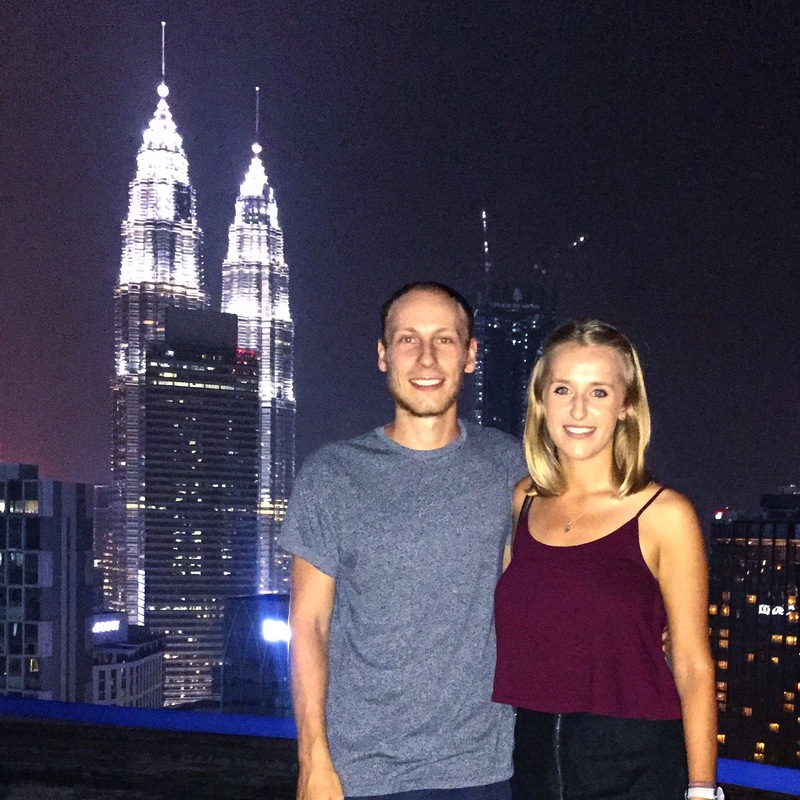 We arrived once the sun was setting to be able to see the city during daylight and then we got to see it after dark as the towers and the city were lit up. It was such a nice atmosphere and the drinks were also really nice. 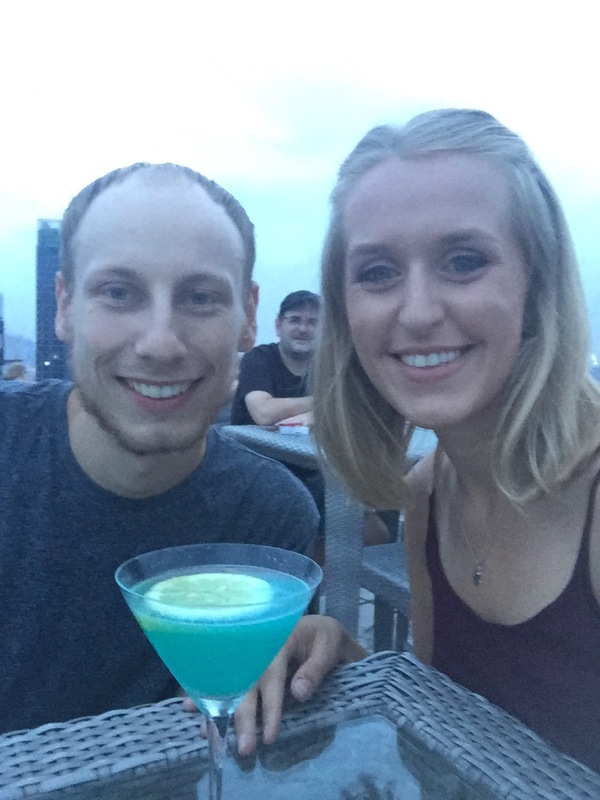 We had a lovely time enjoying the view, forgetting our budget and drinking nice cocktails. I wish we had been able to stay there even longer than we did but we didn’t want to spend too much money and we were getting hungry. 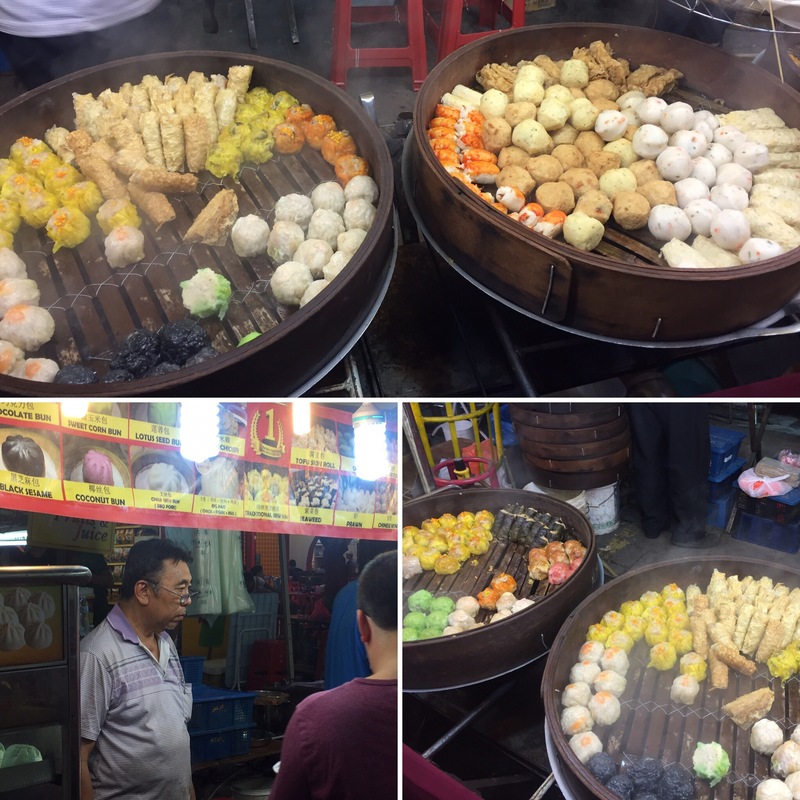 We decided to head to the Jalan Alor night market for tea and both tried Dim Sum for the first time. Mine were fish based and Niall tried pork, chicken and fish ones. We both enjoyed it and we were glad to try it as we had heard a lot about it. I was also surprised that they were a range of colours from bright green to purple! 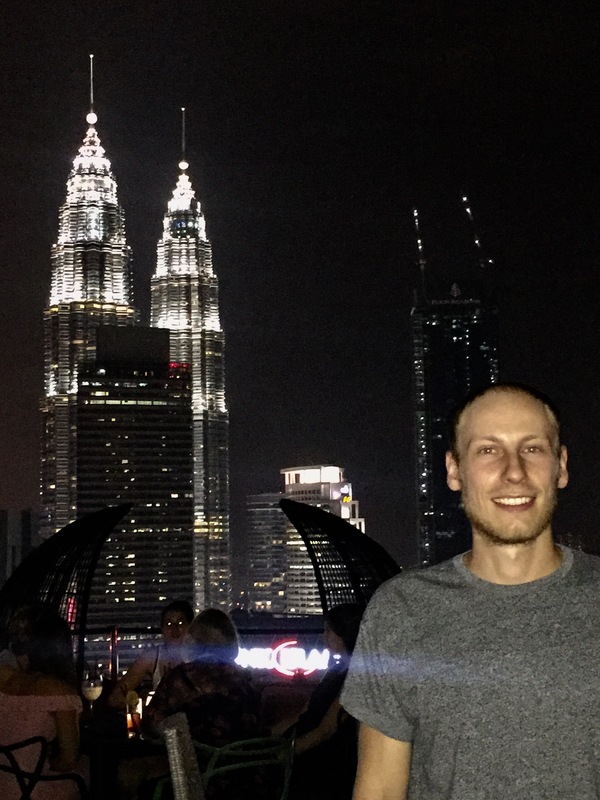 Malaysia was a great country to get to visit. Due to us not being able to go to the east of the country we had a lot of time to kill in each place which meant we were able to take things at a leisurely pace during our time here – this was ideal. 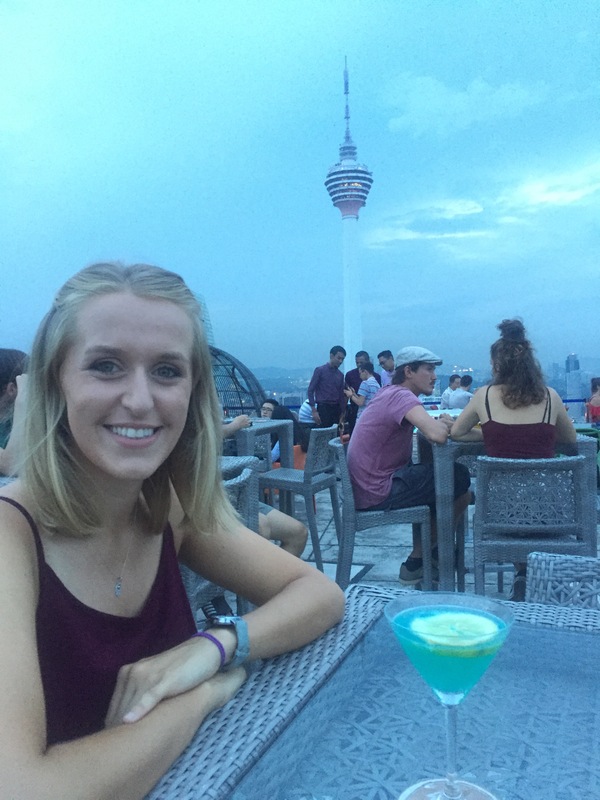 I think that Malaysia is often overlooked or underrated by a lot of travellers going to South East Asia but I definitely think more people should come here. The scenery is pretty, the food is really good and people are incredibly friendly which, in my opinion, makes a places ten times better in an instant! If you haven’t already, add it to your travel list!